Colombia’s Supreme Court on Friday called President Juan Manuel Santos and 18 of his (former) ministers to testify over a bribery scandal involving Brazilian engineering firm Odebrecht. The request was made by the defense attorney of Senator Bernardo Miguel Elias (U Party), who was arrested by prosecution officials on Thursday for allegedly receiving $9 million in bribes. The senator’s defense had asked the court to call all witnesses of the act that granted Odebrecht a major road construction project to testify. The president’s successful 2010 and 2014 election campaigns were already under investigation for allegedly allowing illegal Odebrecht contributions to finance Santos’ political ambitions. However, with the calling to testify of 18 (former) executives, the scandal has reached not just Santos’ electoral machine, but the highest echelons of power in the country. The move appears to be an act of revenge of the senator who was long one of Santos’ key power brokers in the Pacific region, but fell out of presidential grace after being linked to the $27 million bribery scandal. 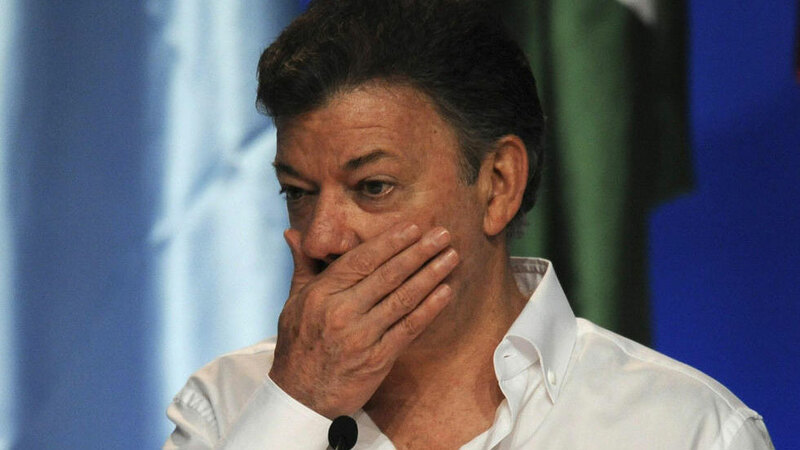 While far from Colombia’s largest corruption scandal since Santos took office, the bribery investigation has already spurred the withdrawal of opposition presidential candidate Oscar Ivan Zuluaga (Democratic Center) and has, more importantly, spurred a public apology by Santos. According to a leaked testimony by jailed former Congressman Otto Bulla, Elias would have received $9 million while another $4.5 million in bribes was reserved for “other politicians managed by Federico” Gaviria, a businessman also in jail for his alleged corruption. The evidence and testimonies presented by the prosecution indicate that the office is seeking to turn Elias into a state witness, which in turn could lead to the arrest of more sitting congressmen at little more than half a year before national elections. Colombia’s prosecution opened a criminal investigation after the United States Department of Justice revealed that Odebrecht allegedly had spent more than $11 million in bribes to obtain road infrastructure contracts in Colombia. This, however, appeared to be a low estimate after claims by Colombia’s Prosecutor General that the Brazilian company had bribed government and elected officials for $27 million.